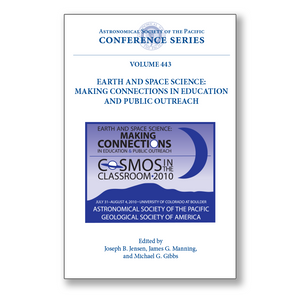 The Astronomical Society of the Pacific (ASP), in partnership with the Geological Society of America, hosted a national education and public outreach (EPO) symposium at the University of Colorado at Boulder, July 31 - August 4, 2010. This meeting represents the 122nd annual meeting of the ASP founded in 1889 to advance the Science of Astronomy and to diffuse information concerning it. The ASP continues to provide a forum for those engaged in various forms of earth and space science EPO and to share lessons learned, reflect on the past, and make connections for the future. This volume provides a summary of the symposium that can be used as a resource for those engaged in EPO activities or those who which to learn about the field. The symposium consisted of participants who are scientists, NASA- and NSF-funded EPO program professionals, K-12 teachers, university educators and administrators, informal science educators (e.g. museums, planetariums, parks), public communicators, web masters, bloggers, science writers, and other EPO professionals. The symposium provided an opportunity for earth & space science EPO professionals to share the results of their work with each and the public through posters, papers, panels, special interest group meetings, and oral reports. This book of proceedings highlights the significant contributions made by the EPO community. In conjunction with the EPO meeting, the ASP hosted a concurrent workshop for astronomy educators entitled "Cosmos in the Classroom." A few contributions to this workshop are included in this volume, and contain helpful teaching suggestions and research results that will be of interest to the EPO community and educators at all levels. Visit www.astrosociety.org for additional information regarding the ASP and how you can join the Society to support the cause of improving science literacy.